Ryan's Smashing Life: Last Minute Show Blast - Tonight at the Middle East! Last Minute Show Blast - Tonight at the Middle East! Super Late Notice, I know... But for some reason I missed this show on the calendar this month and it didn't occur to me until I was in the office today... Something is better than nothing: The Middle East tonight features three great bands (headliners The Brunettes (from New Zealand) and Secretly Canadian's Throw Me The Statue with openers Nurses (one of my favorite indie acts from the last couple years.) For the sake of brevity, I will focus this short piece on tonight's openers: Nurses. 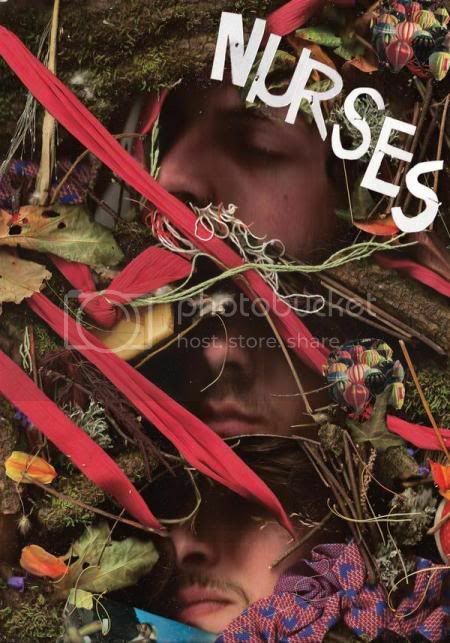 From Portland, Nurses have a delicate, melodic nature about them that belies their epic creative outbursts on stage. Boston folks arrive at 9pm - to catch them tonight! THE BEST OF BOTH WORLDS - Nurses reminds us in a very real way, in an emotive and theatrical way (like if Queen were fronted by a like-minded Robert Smith.) And yet again Nurses are raw and untamed. A stage show can break out in wholly unpredictable ways (one favorable comparison is Detroit's Child Bite - who also pull this off very well!) If you can't make a show - definitely check out the Nurses myspace page.